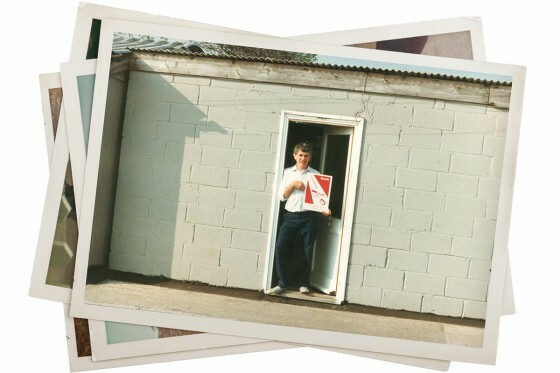 Brian’s passion as a child and teenager was using his hands to create all manner of things in his spare time. Upon leaving school, he became an apprentice with one of the UK’s then leading furniture makers where he painstakingly learnt woodworking skills that would inform his work in the production of radio and TV cabinets during the 50’s and 60’s. With the growing interest in stereo during the 60’s, Brian soon found himself working with some of the early pioneers of the fledgling British audio industry. 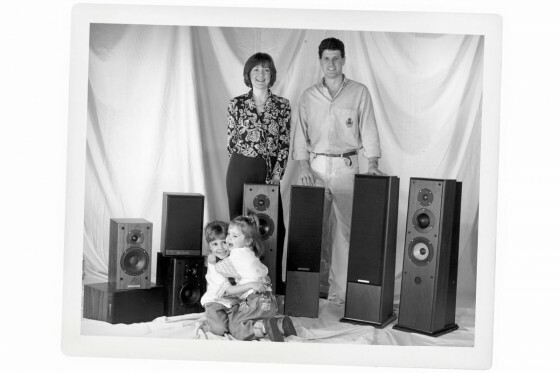 As a music lover himself, he was soon captivated by a trade and hobby that he enjoyed all his life; one that led to him forming his own small loudspeaker company Diesis in 1982 and then Ruark Acoustics in 1985 with his son Alan. 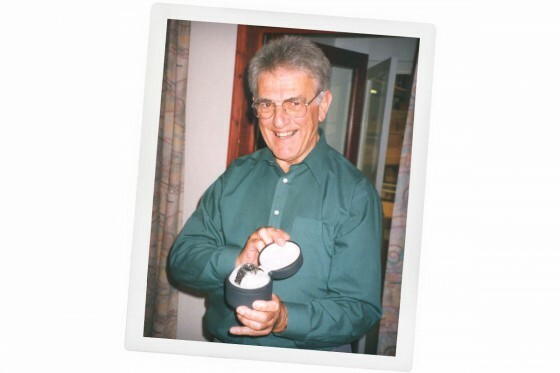 Alan inherited his love of audio and music from his father, growing up surrounded by an array of wonderful equipment which nourished his interest and enthusiasm in sound. A period that Alan remembers fondly is during his early teens when his father worked for a company called Dallas Arbiter who were then the importers of Fender guitars and manufacturers of Sound City professional amplifiers. Going to work with his dad during this time was a schoolboy’s dream that cultivated his interest in the guitar and forming bands which led to him playing local pubs and clubs. 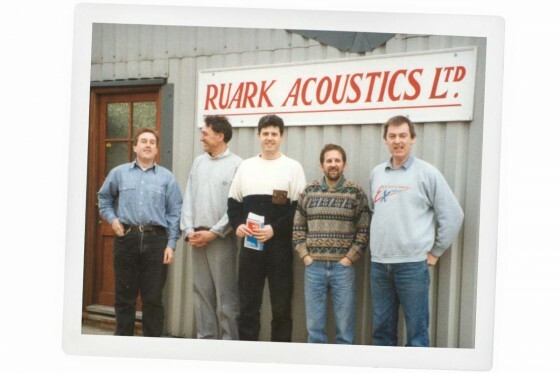 Working at Ford Motor Company and Marconi, Alan gained his engineering and manufacturing skills, but with their entwined love of audio it seemed right that father and son should work together and so in 1985 they formed Ruark Acoustics. 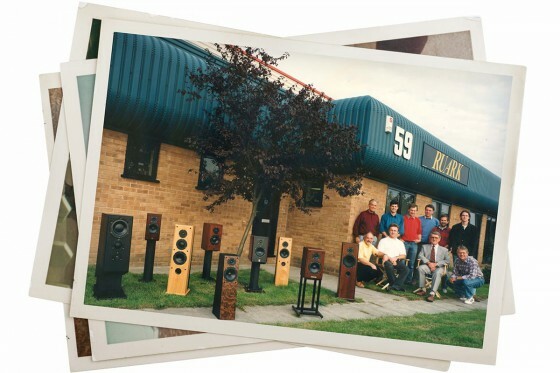 Using their savings Brian and Alan rent a small unit on a private industrial estate in Rayleigh, Essex, as a workshop to develop and manufacture their first loudspeaker systems. 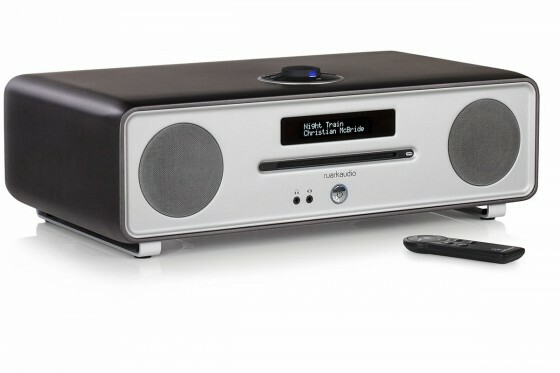 Many hours are spent evolving the sound for which Ruark would ultimately become highly regarded by enthusiasts. 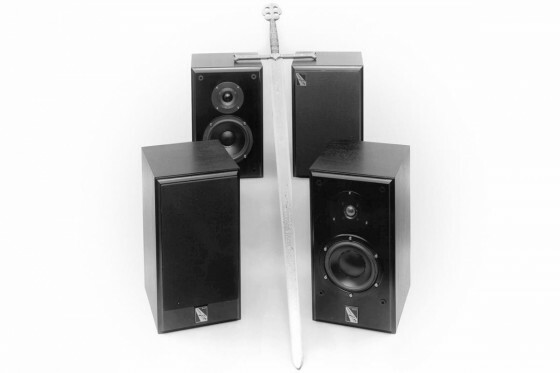 After 14 months development, Alan and Brian launch their first loudspeaker systems called Sabre and Broadsword. With beautiful cabinet work and advance drive unit technology, these systems are soon noticed by the Hi-Fi press and receive critical acclaim. Boosted by the success of their Sabre and Broadsword models Alan and Brian release their first ‘flagship’ floor standing model called ‘Accolade’. Costing over £2,500 and gaining rave reviews, this model establishes Ruark as a true ‘high-end’ loudspeaker manufacturer. With UK and export business growing Brian and Alan bring in Neil Adams (Brian’s son-in-law) to help oversee production. Neil’s managerial experience working with retail giant Sainsbury’s proves invaluable in making purchasing and production run smoothly. In response to demand from dealers for an ‘entry level’ model, Alan & Brian develop the ‘Swordsman’ model. This model is well received and becomes a popular choice with customers new to hi-fi and building their first real hi-fi system. 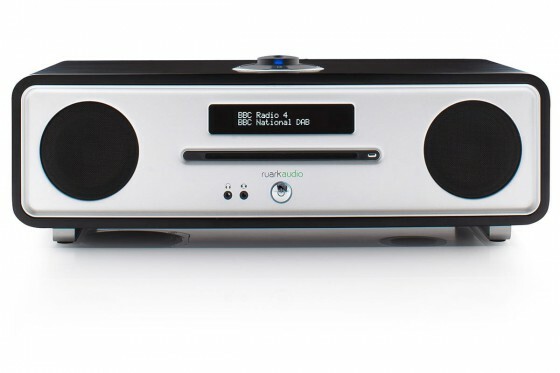 Employing (at the time) a unique sloped baffle design and cabinet construction, with an exquisite finish, many audio enthusiasts will say that this is the model that defines Ruark. Its versatile nature made it a speaker that would work with many different amplifiers and a remarkably large and sweet sound was produced from its compact dimensions. Following the enthusiastic reception of Talisman, Crusader evolved. This was a development from Talisman for customers seeking a wider bandwidth. With a special domed mid-range unit the realism of sound on vocal pieces in particular was uncanny. By now Alan was using computer technology to aid development. 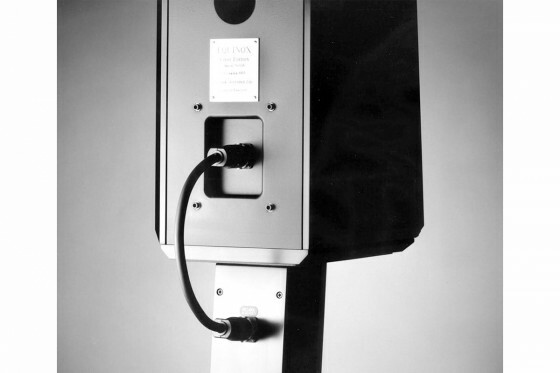 This allowed drive unit, cabinet and crossover topology to be analysed before prototypes were made, although final tuning of systems was always done by ear! 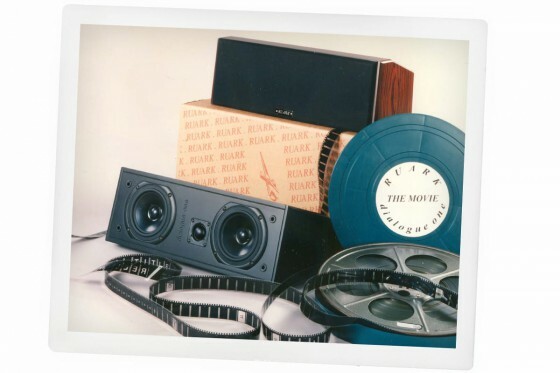 It was always Alan & Brian’s opinion that the ear is the finest development tool and this philosophy is still retained in every product Ruark make today. 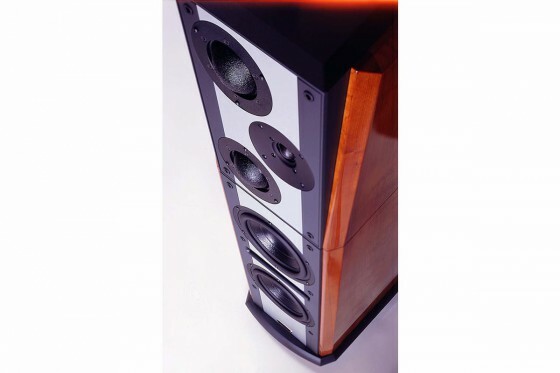 With demand for floor standing speakers growing the Templar was developed as an entry level floor standing model. Despite its diminutive size customers and critics loved it with a 5 Star review from What Hi-Fi upon launch and a few months later an in depth glowing review from the highly respected American magazine Stereophile. Improving on the Talisman and Crusader without spoiling what made them special was a difficult task. However, with improved drive unit technology and finely crafted cabinets with sculpted curves to give them the Ruark family look, the Mk2 versions of these speakers proved to be even more popular in the UK and worldwide. 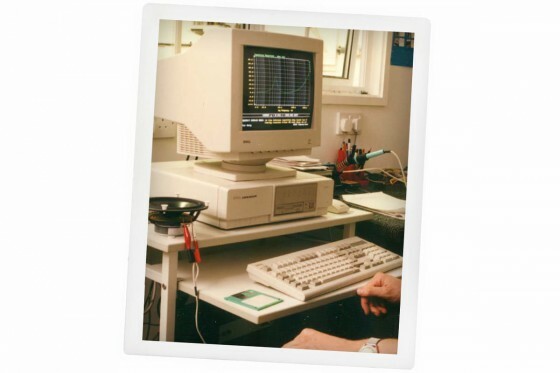 As a keen musician who had spent time in recording studios, Alan was keen to develop a studio type monitor. One that was very revealing of the source and capable of real life dynamics. With its high specification drive units, ultra-dense cabinet and dedicated stand with outboard crossover, Equinox proved to be an instant hit and when used with the best ancillary equipment, was capable of truly jaw dropping sound quality. 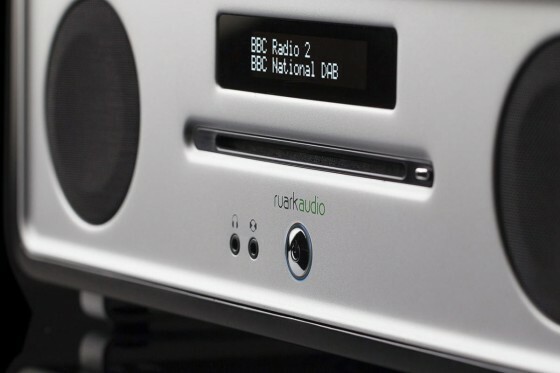 After 10 years at their first location and now operating from several units the team at Ruark decides that it is time to move and to bring everything under one roof. With some good years behind them they choose to buy rather than rent and secure a unit with room for further expansion on an industrial site in Southend-on-Sea. Ruark still operate from these premises today although a further factory unit has recently been acquired due to ongoing expansion. 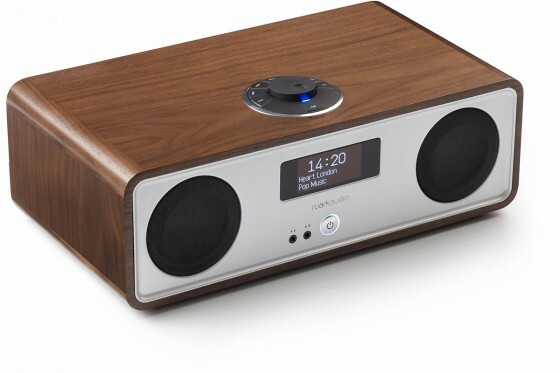 To celebrate their move Ruark introduce Icon and Sceptre as models to replace their now ageing Sabre and Swordsman models. 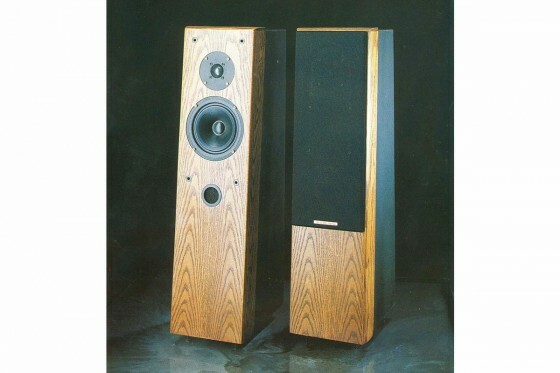 With an inverted drive unit configuration, these models were considered quite unique and with their beautiful cabinets were considered two of the best looking speakers available at the time. In 1997 DVD is on the horizon and interest in Home Cinema is growing strongly with Dolby Pro-Logic VCR’s and multi-channel audio/video amplifiers selling alongside traditional stereo components. 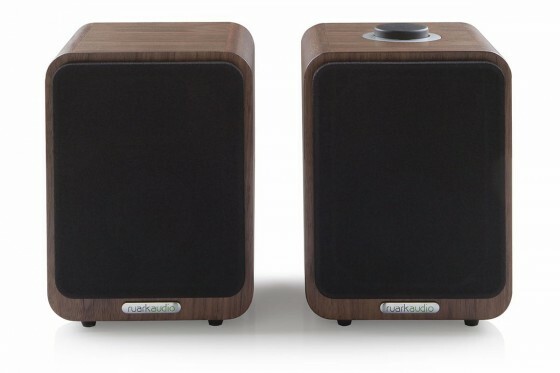 Responding to demand Ruark launch their first dedicated home cinema centre channel speaker called Dialogue One. This is well received and is awarded ‘Best Centre Channel’ by Home Cinema Choice magazine in their yearly round-up. With the arrival of DVD and flat panel plasma TVs, Home Theatre in the late 90’s really started to take off. 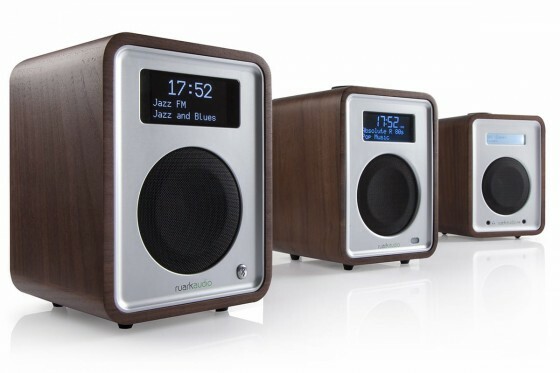 In response to this Ruark develop and introduce their Contemporary Series which comprises of a range of speakers which can be mixed and matched to create a stunning surround sound Home Theatre system. 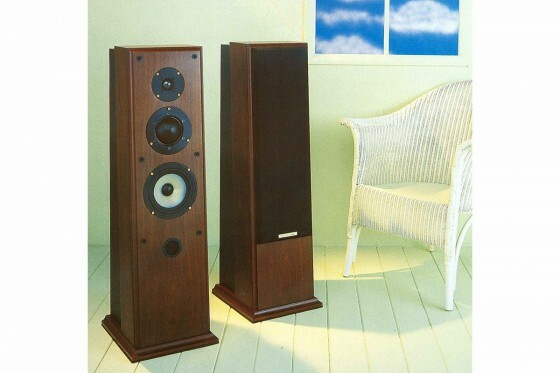 This system is manufactured for several years and in 2002 wins a coveted ‘Best Buy’ award from what Hi-Fi. With Home Theatre becoming increasingly popular it soon becomes apparent that although many customers like the concept, not many have space for a full size speaker package! 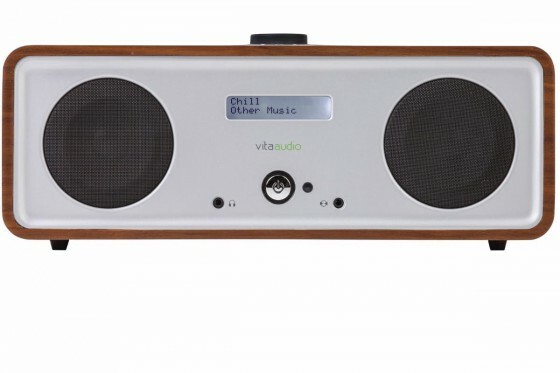 In response to this Ruark introduce their Vita 100 system, which comprises of 5 beautifully crafted small satellite speakers with a powerful subwoofer. 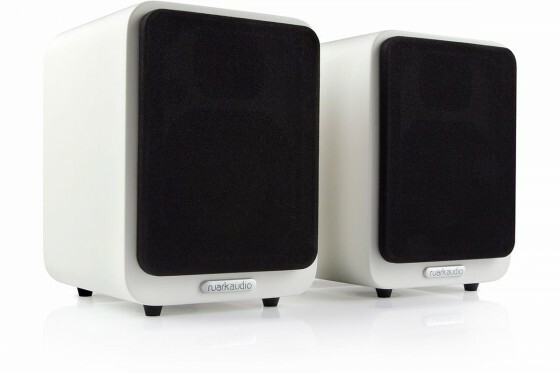 With amazing sound quality from a compact package, this system proves to be an instant hit. At the age of 70, Brian O’Rourke decides that it is time for him to step down as Managing Director and to spend some time relaxing with his Wife, Jean. The position of Managing Director is taken by his Son, Alan and Neil Adams (his son-in-law) becomes Operations Director. As always Brian keeps an active interest in the business he helped create until his sudden passing in 2002. 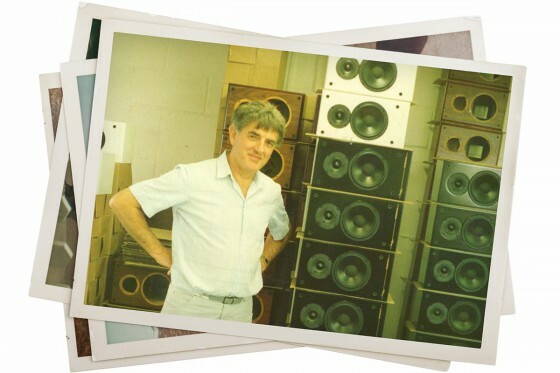 It had always been a desire of Alan’s to design and build a speaker without compromise that was capable of real life dynamics. 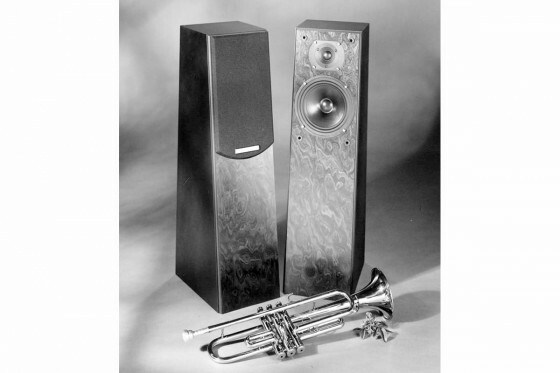 A speaker that was able to create the full scale of an orchestra or band without compression or distortion. 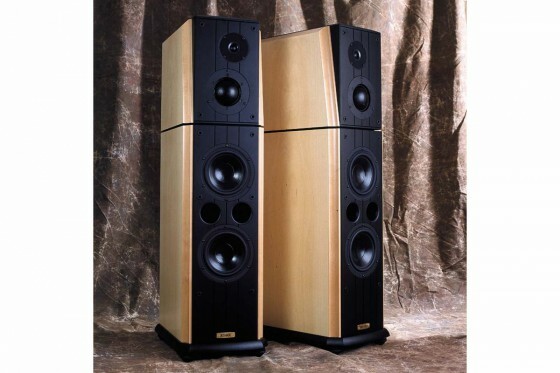 At over £8,000 per pair, the Excalibur became regarded by serious Audiophiles as one of the most awesome speakers available and during production, nearly 300 pairs were sold worldwide. Such was the enthusiasm for Excalibur that many customers asked if a smaller model could be made. The result was a beautiful looking speaker called Solstice. 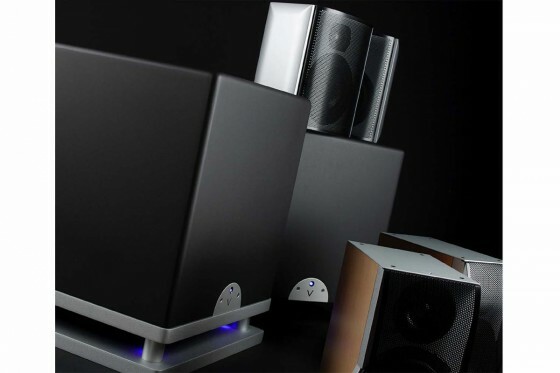 At just over £4,000 UK retail this speaker was still aimed firmly at customers who took their audio seriously, but partnered with electronics of equal quality, the sound Solstice created was truly breathtaking. Come 2003 it is becoming clear that the audio scene is changing radically with more attention being focused on vision rather than sound. 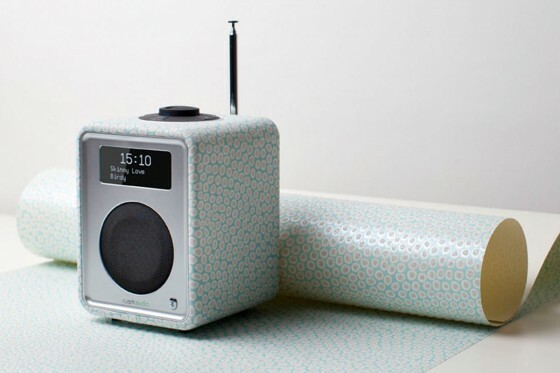 In response, the team at Ruark develop a range of speakers which are strikingly different from the usual look for which Ruark have become well known. Reaction from customers to the look is mixed, but as always the sound quality is highly regarded. With the audio market in turmoil, Alan decides that it would be a good idea to start looking at other avenues. 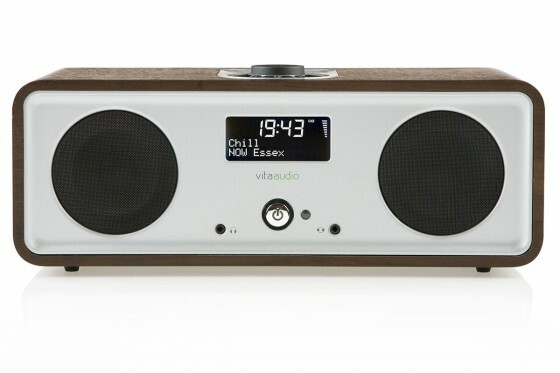 With the growing popularity of DAB in the UK, Alan was looking for a radio for his own use. It appeared that whilst sound quality was important for hi-fi, in radios the sound was often very poor. Seeing a gap in the market a decision was made to start work on developing a high-quality digital radio. With the CL Series not selling as well as expected a decision is made to renew and revive our Heritage models, namely Sabre, Talisman and Crusader. In Mk3 guise, these models keep the identity of the originals, but subtle styling changes and modern drive unit technology bring them bang up to date! All models are very well reviewed but sales are slower than expected due to a changing marketplace. 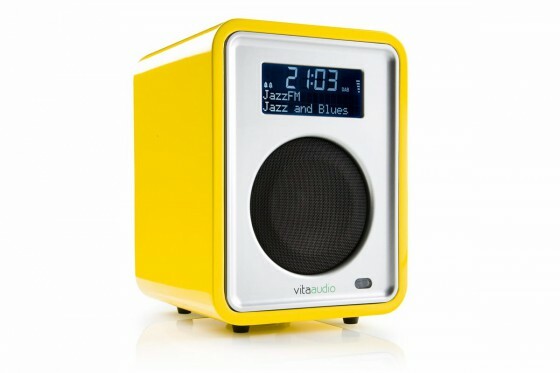 In November 2006, we launch our first tabletop radio to critical acclaim, with the Sunday Telegraph calling it ‘The Aston Martin of DAB radios’. 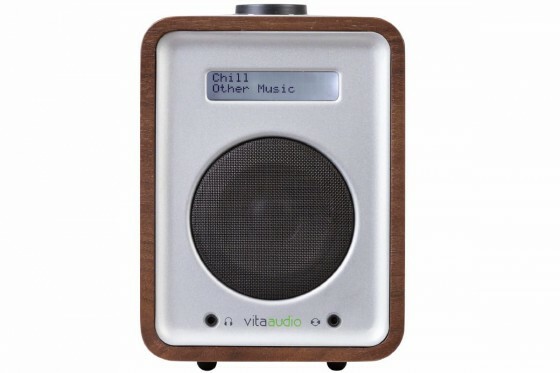 It is decided that we will sell and market the R1 under a different brand-name (Vita Audio), in order to avoid confusion with our loudspeakers. In retrospect, this proves to be a decision that causes quite a bit of confusion with customers and dealers alike. Buoyed by the success of R1 the stereo R2 is launched. 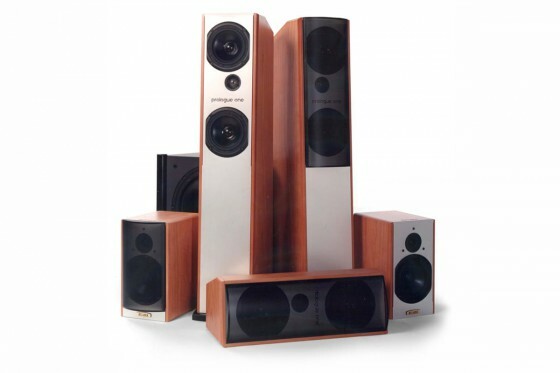 With its beautiful design and class-leading sound quality, the R2 proves to be a hit with customers and dealers who love its unique looks and quality construction. 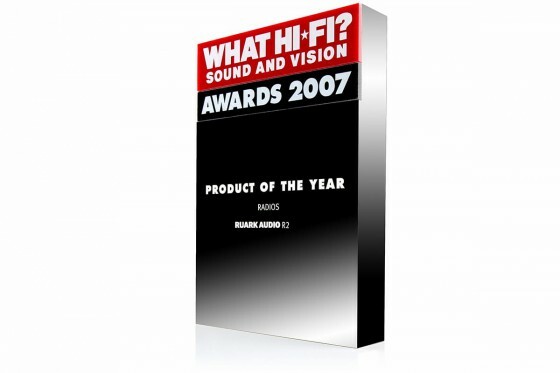 Having already received numerous accolades for R1 and R2, we are delighted in 2007 when our R2 is chosen as radio ‘Product of the Year’ by What Hi-Fi Magazine at their annual awards. This highly sought after award adds gravitas to our reputation to design and build the very best small audio products. With our reputation growing in 2008 we launch our most ambitious product called R4. 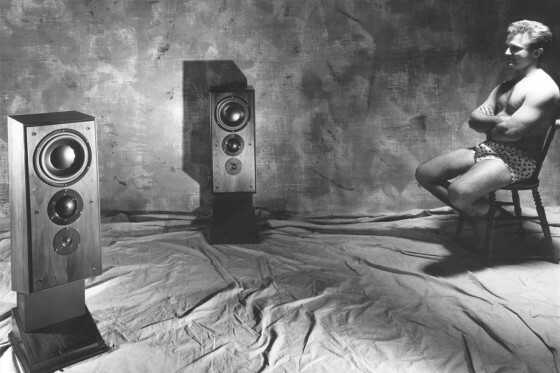 Using our design signature introduced with R1 and R2, our aim was to create a ‘one box’ stereo system, which we anticipated would have wide-ranging appeal. Our feelings proved to be correct because when press details were first released we were inundated with enquiries and now four years on sales of R4i are increasing all the time. 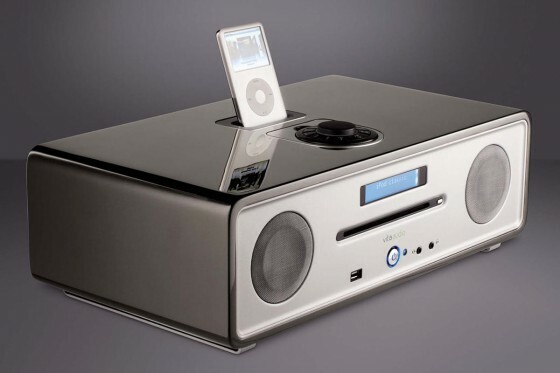 With our product reputation growing we introduce a new version of our R2 with integrated iPod dock, more power and other technical enhancements. 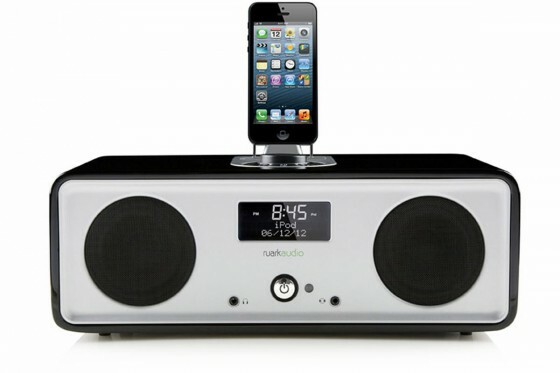 Called R2i this product gathers many press accolades and proves popular with iPod/iPhone owners wanting a high-quality speaker system. 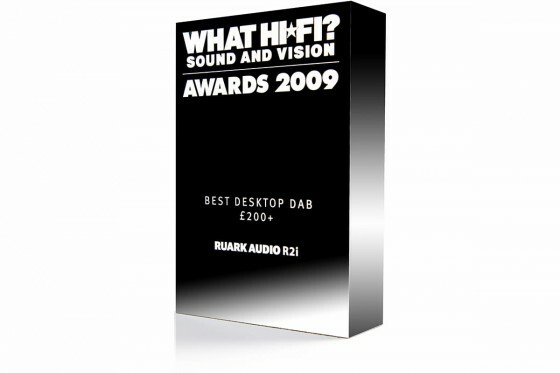 On top of our previous awards, we are again delighted to be presented with a second trophy from What Hi-Fi at their 2009 ceremony awarding R2i a ‘Best Buy’ for best desktop DAB. When first launched in 2006, the Sunday Telegraph described our R1 as ‘the Aston Martin of DAB radios’. With the introduction of our new R1, we created a successor which is further enhanced and even more desirable. The New R1 can now also be made completely portable with the optional BackPack and CarryPack. 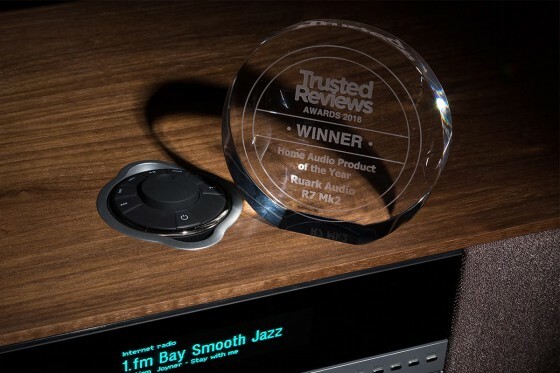 In the Consumer Electronics trade What Hi-Fi Awards are highly prized, so we are indeed honoured when again What Hi-Fi present us with two more ‘Best Buy’ awards for our New R1 and R2i at their Annual ceremony held at the Dorchester Hotel in London. With their beautiful design, many people describe our products as design icons of the future, so when the opportunity arose to produce a special Limited Edition of our R1 for London’s iconic department store Selfridges, in their eye-catching Pantone yellow we, of course, did not hesitate. 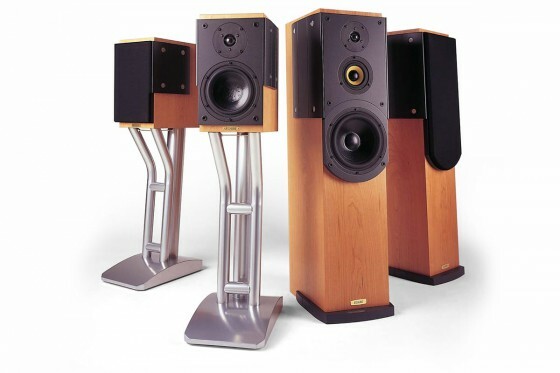 Released in 2008, our R4 has now become recognised as one of the finest single box music systems available, admired as much for its beautiful design as its outstanding sound quality. In June 2011 we introduce an updated version with subtle technical enhancements called R4i. To celebrate the introduction of this model we also announce a special Limited Edition Sparkling Graphite finish. 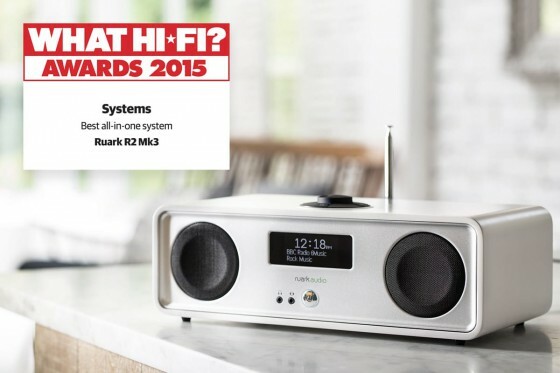 The introduction of our R4i gathers yet more critical acclaim and is this year noticed by the team at What Hi-Fi who award it ‘Best All-in-One Music System’ and R1 ‘Best DAB/FM Radio’! A fantastic finish to a fantastic year. In just five years we have achieved more than we ever imagined with our ‘small audio’ range. 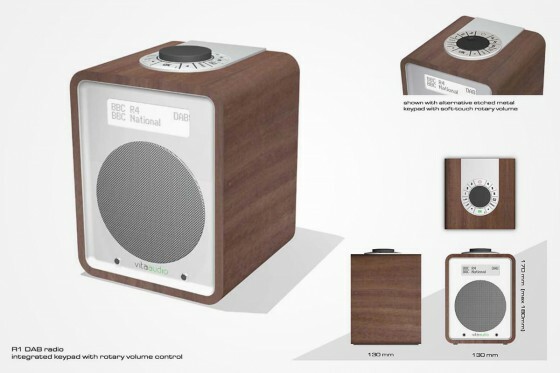 We initially chose to brand them Vita in order to save confusion with our loudspeakers, but with our future plans laid out, we feel that the time is now right for all our products to be brought under one banner with the long heritage of our company name ‘Ruark’ attached. We are delighted to announce a long-term alliance with the inspirational national UK music charity Nordoff Robbins. 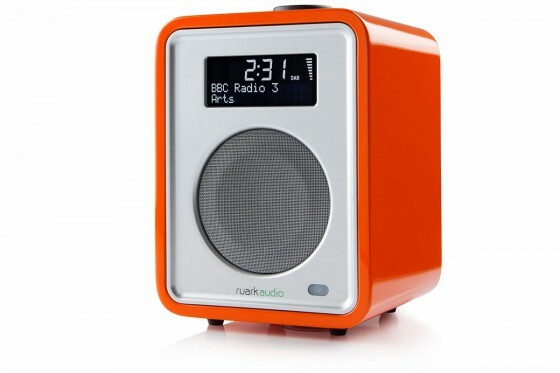 Marking the start of the collaboration, a new version of our iconic R1 MkII radio finished in a luscious orange high gloss lacquer is released with a minimum of £15 from the sale of each unit will being donated to the this highly worthy charity. The introduction of Apple’s new Lightning connector causes much concern amongst customers concerned about compatibility. To help rectify this we developed a simple yet highly effective solution which we codename LAS (Lightning Adaptor Support). The beauty of this simple conversion is that iPod/iPhone models old and new can be used alongside each other. Leaning back to our roots, we use the skills from our loudspeaker past to squeeze the best performance from our MR1 compact Bluetooth active loudspeakers. The MR1s deliver our renowned sound quality without wires, thanks to Bluetooth and aptX technology. 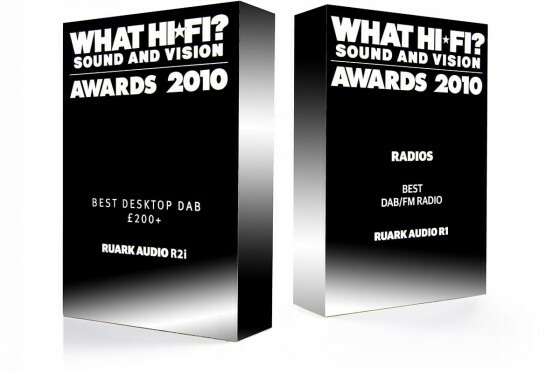 All our radio products have won multiple awards, but we were particularly delighted when our MR1s received a prestigious What Hi-Fi award for best desktop loudspeaker. Praise indeed from the leading title in audio. Inspired by 60s contemporary design, the R7 is our latest iconic piece. 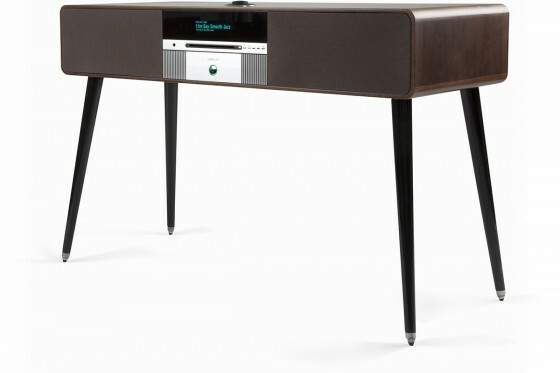 With stunning looks and amazing audio quality, it’s a revolutionary music centre in the true spirit of the classic radiogram. 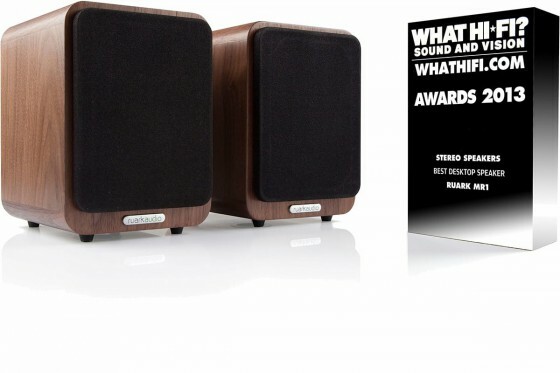 The only product we had entered for the 2014 Awards was our MR1 Bluetooth Wireless Speakers and we were delighted when for the second year running, we won the What HiFi Award for the Best Desktop Stereo Speakers 2014. 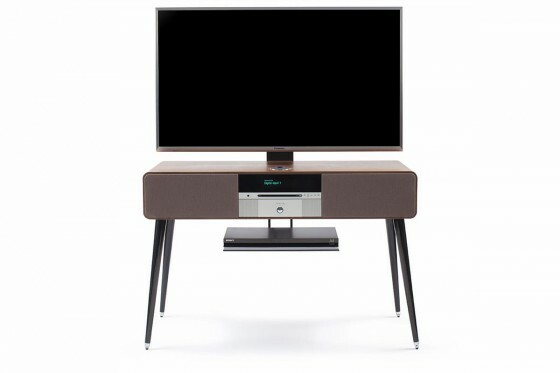 R7 redefines the classic radiogram, but with the addition of our new AV Mount, R7 is transformed from a music system into a complete audio/visual solution. Designed exclusively for R7, TVs and associated equipment can be integrated so they seemingly ‘float’ above and below R7, keeping its elegant design intact. Whilst the R2 Mk3 gives the impression of being similar to its forerunners, through painstaking design, it has evolved so virtually everything about it is new. Notably, it incorporates technology which allows customers to access music and broadcasts in a variety of convenient ways. In April 2015 we collaborated with iconic designers Osborne & Little for this limited edition R1 with an adaption of one of their designs called Melo. Quintessentially British and founded in the early 1960s, Osborne & Little have been producing award-winning fabrics and wallpapers ever since. Like ourselves, Osborne & Little have a reputation for innovation and exceptional quality and you will find their designs in the finest dwellings around the world. 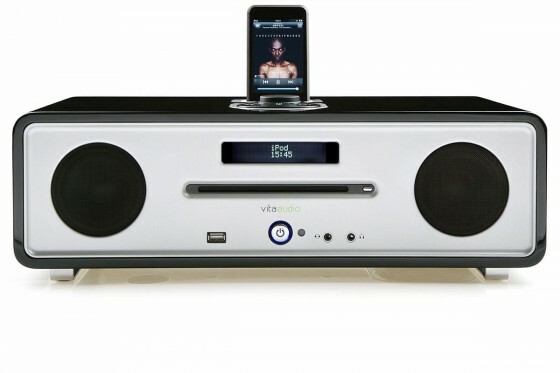 Originally launched in 2008 the R4 redefined what a quality compact music system should be. Seven years on we launch the Mk3 version to critical acclaim. 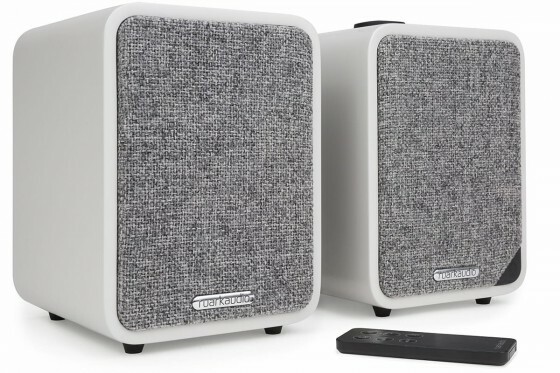 Visually similar to the Mk1 and Mk2 versions, but enhanced in every respect, the R4 Mk3 is the perfect ‘all in one’ music solution for 21st-century living. Ideal for modern day technophobes, simply plug in and within minutes R4 Mk3 provides room-filling sound that will satisfy even the most discerning listener. 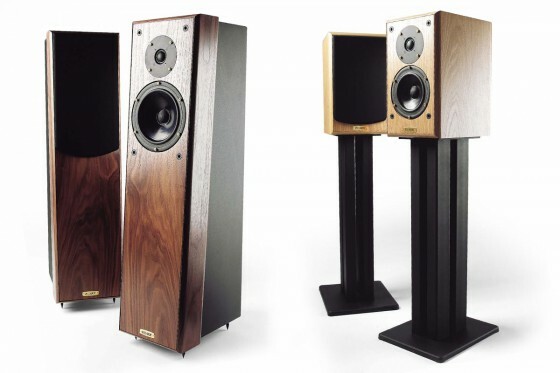 In October 2015 we attended the lavish What Hi-Fi? award ceremony at the Hilton on Park Lane, London and were delighted to be presented a ‘Best Buy’ award for our recently launched R2 Mk3. 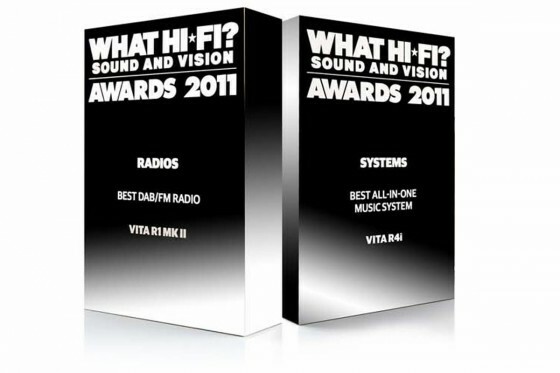 This is the seventh year in a row that we have picked up a prestigious What-Hi-Fi? gong which is undoubtedly the most coveted award in our industry. 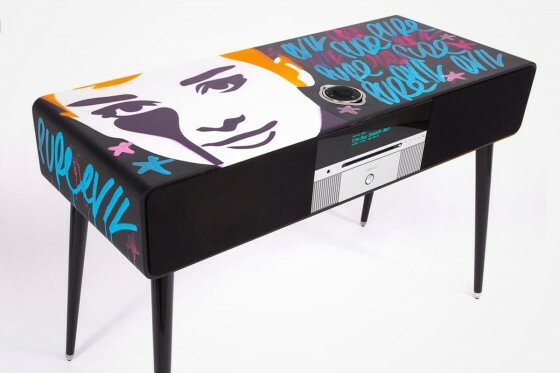 In December 2015 we partnered with London-based graffiti artist Pure Evil to design limited edition versions of our acclaimed R7. The first of these ‘one-off’ pieces was put on display at the artist’s exhibition, ‘Teenage Kicks’, at the prestigious Saatchi Gallery. 2016 marked a momentous year as we celebrated three decades of high fidelity sound and beautiful design. 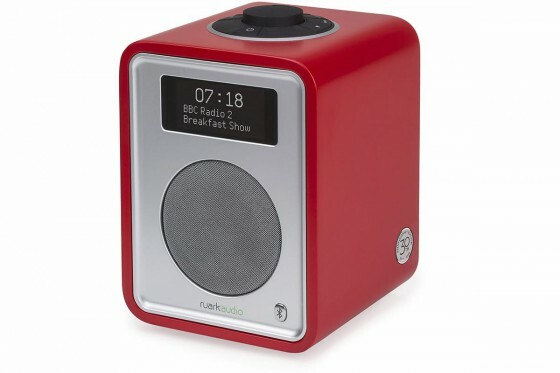 R1 was our first radio product so we thought it fitting to introduce a special edition version finished in ‘Swiss Red’ satin lacquer and with a polished 30th anniversary plaque machined into the side. As a second product to celebrate our 30th Anniversary we introduce R4-30 a stunning variation on our popular R4 Mk3 model. With subtle ‘aero’ curves and a special satin titanium finish, R4-30 is a fitting tribute to our 30th year and a collector’s item of the future. 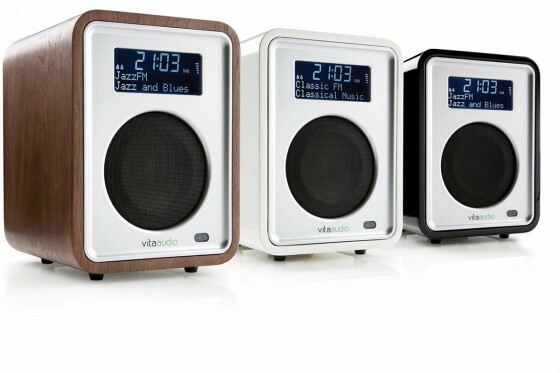 Since its introduction in 2013, our MR1 Bluetooth speaker system has been widely commended as the finest available. MR1 Mk2 retains all the attributes of the original, but with our ongoing desire for improvement they now look and sound better than ever!